 Breast MRI Scan False-Positive Rate Drops on Repetition - ONRAD, Inc. Diagnostic Imaging | Women who get breast MRI scans may have higher false-positives on their baseline studies, but those rates drop on subsequent scans, according to a study to be published in the April issue of Radiology. Study co-author Martha B. Mainiero, MD, notes that while MRI is an excellent screening tool for breast cancer, the higher rate of false-positive results keep some women from undergoing the exam. “The goal of our study was to determine if the availability of prior MR images for comparison reduces the rate of false-positives associated with the initial MRI breast screening exam,” said Mainiero, director of the Anne C. Pappas Center for Breast Imaging at Rhode Island Hospital and associate professor of diagnostic imaging at The Warren Alpert Medical School of Brown University in Providence, R.I. Breast mammography has a known pattern of higher false-positive rates on first screenings than subsequent studies. Authors Dr. Mainiero and Gil Abramovici, M.D. wanted to look for a similar pattern with breast MRI scans. And they found it. Breast MRI exams are often more effective than mammography at finding suspicious areas in the breast tissue, however these findings are less specific — they can’t always differentiate between cancer and benign lesions, resulting in the need for additional testing. The Radiology study focused on 650 MRI studies with contrast material from high-risk patients. Almost half (307) were baseline studies, and the remainder (343) were yearly or repeat scans with previous comparison studies available for review. The screenings were done at Rhode Island Hospital, during a 15-month period between 2007 and 2008. The study notes that the patients undergoing the baseline studies were different patients than those undergoing the yearly or repeat scans, though they had similar indications or family/personal history. The study found that women getting the baseline MRI scan were almost four times more likely (10.1 percent) to get a six-month follow-up recommendation for suspicious findings than patients who had at least one previous MRI scan with a comparison available (2.6 percent).